The practices were simple and profound. Everything I learned in these trainings (I repeat: everything!) can be folded into the forms I currently do….The effect on my life has been immeasurable. The vitality, internal power, martial prowess, and spiritual development of the old Tai Chi masters were not developed through a few hours of forms practice every week. Original training included many hours of chi kung (qigong), two-person and equipment work, single-move repetition, and standing meditation. This summer, experience a taste of authentic “Old School Tai Chi” training, and see how much your Tai Chi can progress! I experienced an upgrade in my Tai Chi during Don’s training that exceeded all of the progress that I’ve made in the past forty years. Instructor: DON ETHAN MILLER, BTC Director, has over 40 years experience in Tai Chi, Chi Kung, and other martial and healing arts. He was 4-time U.S. Champion in Tai Chi Tuishou (Push Hands) and is a lineage holder in Mohdar Kuntao DeThouars. What I find in (Bootcamp) with Don Ethan Miller that makes it worth the trek from Ohio to Massachusetts is a teacher whose knowledge is beyond any previous exposure I have enjoyed, a guide in exploration of the core principles underlying any style of Tai Chi. TEN SESSIONS, 25 HOURS OF TRAINING! OPEN TO ALL LEVELS (MINIMUM 6 MONTHS TAI CHI EXPERIENCE REQUIRED). EXPECT TO WORK HARD, LAUGH A LOT, AND SERIOUSLY UPGRADE YOUR TAI CHI! ALL CAMPS LIMITED TO 20 PARTICIPANTS. 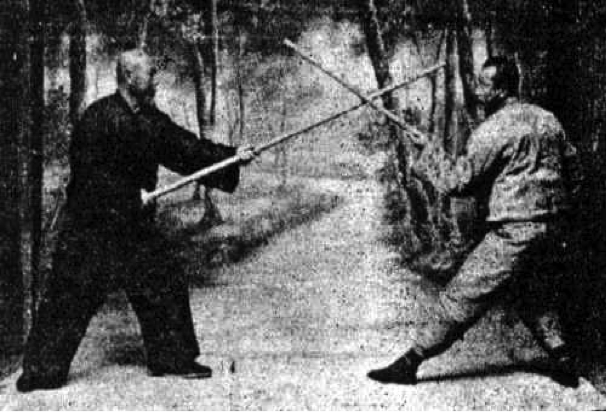 In Chinese martial arts, there is a classic phrase–“Practice 10,000 times and you will attain true skill.” This can refer to a single movement, a form, a martial technique, a sword-stroke. While the number is not exact, the concept is powerful: through multiple repetitions over time, skills are mastered and abilities expanded. This summer, Brookline Tai Chi will be offering the “Ten Thousand Sparrows” training, in which participants will perform 10,000 repetitions of the Grasp Sparrows Tail Sequence–the four movements of Ward Off, Roll Back, Press and Push, which contain and express the Four Cardinal Powers of all Tai Chi systems: Peng, Lu, Ji, and An. The ten thousand will be completed over the course of one month, starting July 29th and ending August 26th. This is an experience of “old hand” Tai Chi gongfu, which will produce tremendous upgrades to virtually every aspect of your Tai Chi practice–more energy, internal power, centering, fluidity, relaxation, and serenity. Three will be 3 Class Sessions, at beginnning, middle and end of the process, with students expected to practice on their own 300 repetitions every day, which will require on average about 40 minutes–which can be done all at once or split into 2 or 3 shorter practices. BTC Director Don Miller will be available for consultations by phone or email throughout the month, to help guide participants through the process. Sunday 7/29 1230-2pm: First meeting and First 500. Saturday 8/11 1230-2pm: Half Way Point Meeting. Sunday 8/26 1030am-Noon: Last 500, Celebration! Limited to 15. Participants must be familiar with Peng Lu Ji An, both as form movements and as expressions of the Four Primary Jings. Price: BTC members 150, Non-Members 180. BTC is truly honored to host the return of Ken Van Sickle, renowned master of Tai Chi sword and one of the last American disciples of Cheng Man Ching. Join Ken for a day of sword work, sword play, sword fighting and Taoist philosophy as he guides us into the higher realms of this fascinating and empowering expression of Tai Chi principles and purpose. Previous sword experience not required, although a beyond-beginner understanding of Tai Chi is highly recommended. Please bring wooden practice swords (jian/double-edged) if you have them. A limited number of swords will be available at the school. Due to space considerations, workshops will be strictly limited to 18. Last year’s workshop was sold out. Early registration is essential! After 5/28, if space available: additional $35 per workshop. To see Member pricing, log in before selecting a workshop. KEN VAN SICKLE is a senior disciple of Tai Chi Grandmaster Cheng Man Ching (photo below). He studied solo form, push hands, sword form and fencing with Professor Cheng from 1967 to 1975, and participated in special classes for those chosen to become teachers. Ken developed a particular affinity for Tai Chi sword, and is internationally recognized as a Tai Chi sword master practitioner, and a renowned teacher of its philosophy and technique. Ken is also an internationally acclaimed photographer and cinematographer, and his work has contributed tremendously to the documentation of Professor Cheng’s legacy. This month’s Bootcamp will focus on the use of Equipment to improve Root, Zhong Ding, and the Four Primary Jings. In the old days, Tai Chi masters employed stone balls, rocks, heavy staves and poles, ropes, sashes, and many other objects and devices to increase their internal power and chi flow. We will explore these methods, which produce an immediate upgrade in the quality and strength of our Tai Chi, even in forms and other solo practice. An essential “missing piece” in most modern Tai Chi practice! Taiji Ruler, or Circling Hands, is both a simple yet versatile qigong practice, and a detailed introduction to the principle of circularity in all Taiji forms. In this four hour workshop, you’ll learn the basic Taiji Ruler as performed vertically, which will include the Microcosmic Orbit qi circulation. This is the most common way it is used as a qigong form. We will then explore Taiji Ruler with diagonal and horizontal circles. Examples of these circles in the Wu style short and long forms will be demonstrated and practiced during the workshop. Steven is a licensed acupuncturist and herbalist with over 30 years experience in internal arts, and is the author of the books Chinese Healing Exercises and Chinese Holistic Medicine In Daily Life. 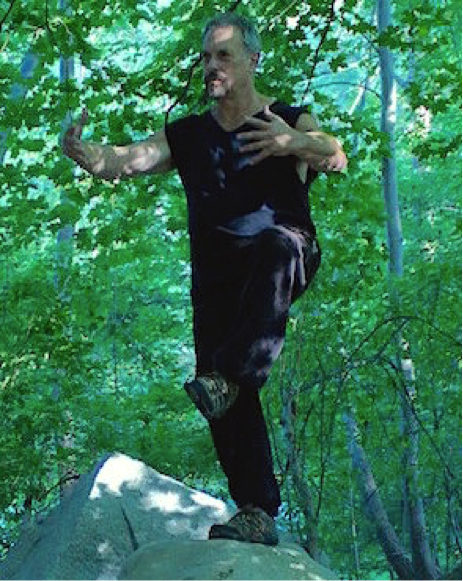 We are excited to welcome back the dynamic Mr. Zeisky, creator of Zeigua Internal Arts Method, to share the healing, empowering, and enlightening aspects of the ancient Taoist Art of Baguazhang. The sure-to-be mind-blowing day will include 3 inter-related workshops. You are welcome to sign up for individual parts or all three. Tiangans (“Heavenly Stems”) are powerful Bagua methods for lengthening tendons, ligaments, muscles and fasciae. With its big and expressive movements, Tiangans help realign and strengthen bones, open the joints and energy channels for greater blood circulation to the extremities and are especially good for developing stronger legs, buttocks, and waist. Used in both Bagua and Taiji traditions for to strengthen and open the body and form the foundation for both solo and interactive work. Palm Changes are short choreographed forms that encapsulate various aspects of the I-Ching (Book of Changes) and life-force energy principles. These I-Ching principles are infused into all Bagua spiral-based solo movements, fighting methods, self-defense tactics, and whole-body integration practices. Baguazhang is one of the three primary internal martial arts and its beautiful Palm Change forms are the practical ways by which it empowers the individual and awakens the body/mind connection. Circle Walking is a 4,000 years old ancient Taoist monk meditation practice for Qi-energy cultivation, spiritual awakening, and opening the heart. By smoothly flowing and walking in counterclockwise and clockwise circular directions and patterns for extended periods of time, we improve the body’s aerobic capacity and metabolism rate. From here, we can then gather, harness, redistribute, and store the new precious life-force, by holding various hand/arm positions while walking the circle. With this “higher quality” energy or “elixir”, a stronger direct connection to Source can be established and one’s consciousness and spiritual understanding will naturally and safely increase. This workshop builds upon the energies awakened in the previous two workshops and transmutes them into a form of moving meditation for spiritual awakening. Early registration is recommended as space is limited and some workshops will sell out. Happening once a month. More dates to come! The legendary vitality, internal power, martial prowess, and spiritual development of the old tai chi masters were not developed through a few hours of forms practice every week. Original training included many hours of chikung, two-person practices, equipment, single-move repetition, jing development, and standing meditation. This summer, experience a taste of authentic “old school” tai chi, and see how rapidly your tai chi gong (skill, ability, power) can progress! Groups may be divided so all participants will be challenged at their personal level of experience/ability. Expect to work hard, sweat, laugh a lot, and seriously upgrade your tai chi! 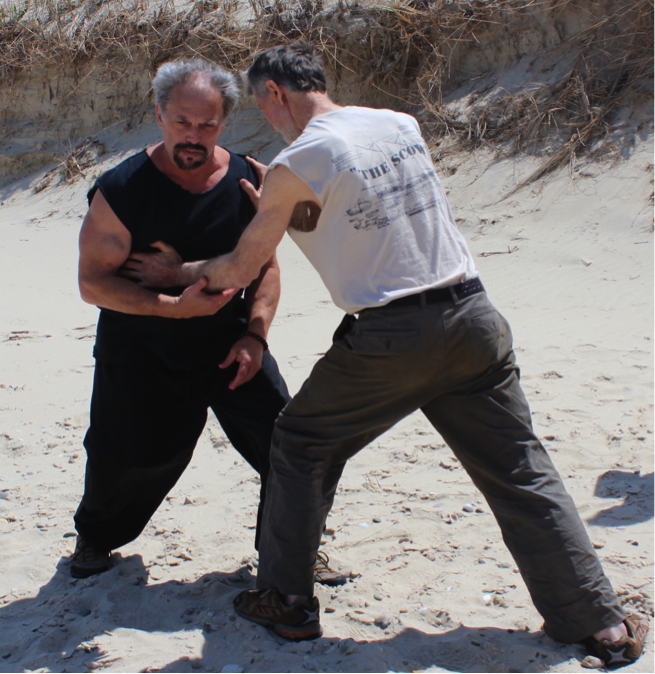 Head instructor: Don Ethan Miller, BTC Director, has over 40 years experience in tai chi, chi kung, and other martial and healing arts. He was 4-time national champion in tai chi tui shou (pushing hands) and is the lineage holder in mohdar kuntao, the internal component of the kuntao-silat de thouars (ksdt) system. All prices are pre-registered; at the door, add 10/session. All camps limited to 20. Early registration is a good idea!